​​​​​​​​​​​NNIT specializes in application outsourcing for businesses. Whether the application platform is SAP, Microsoft, Siebel, Documentum, Oracle, etc., we apply best practices and configure the setup to your business needs. 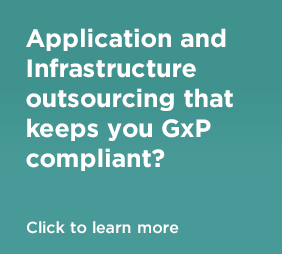 With over 20 years’ experience, our specialist team has the processes, tools and methodologies in place to keep your applications running smoothly and up to date. We guarantee optimal and stable performance for customized, as well as pre-packaged applications through on-going and proactive maintenance, development to keep pace with your business, surveillance and protection of critical data. In short, we manage your applications so you can focus on your business.